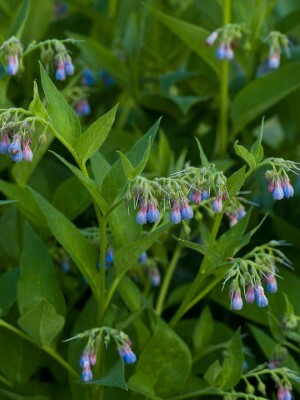 In an era when space is at a premium, it is wonderfully refreshing to visit a garden and find a traditional landscape with room to breathe. 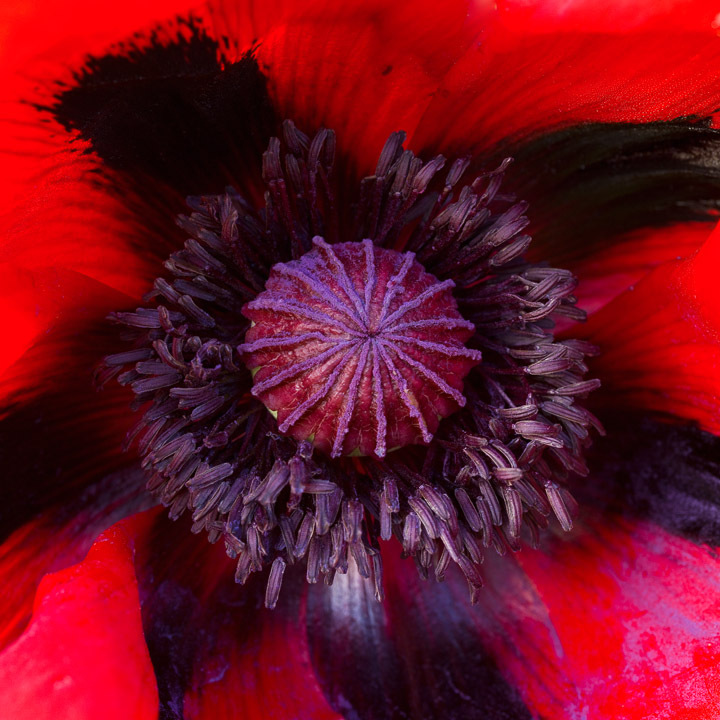 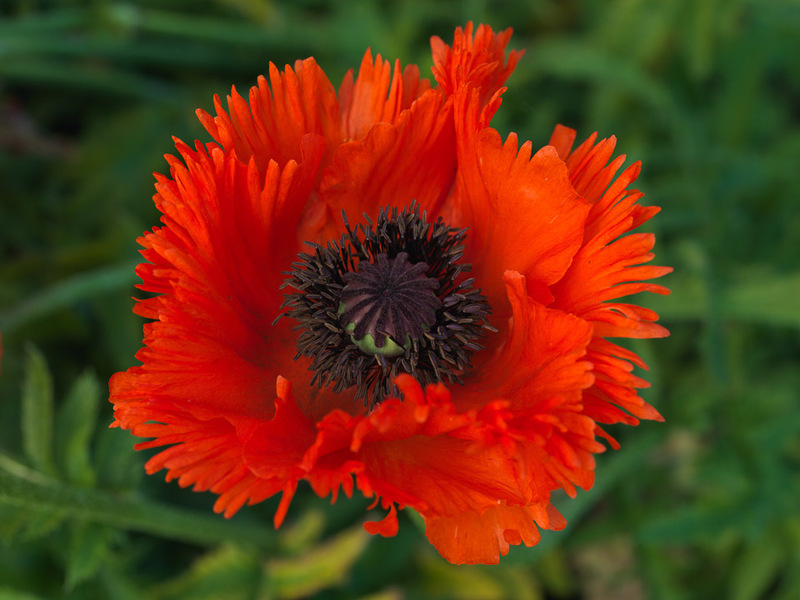 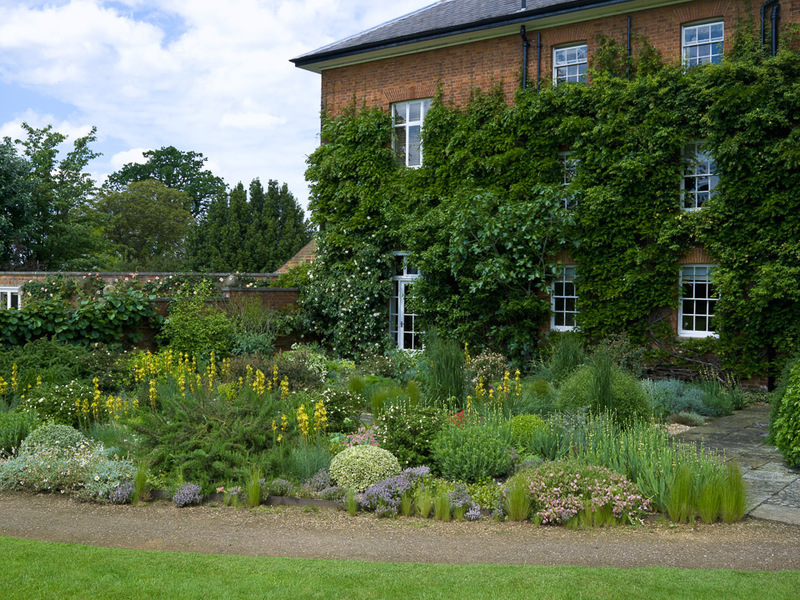 'The very first time I stood in the sitting room and looked out of the window over this big expanse of lawn, I felt a great sense of peace,' recalls the owner. 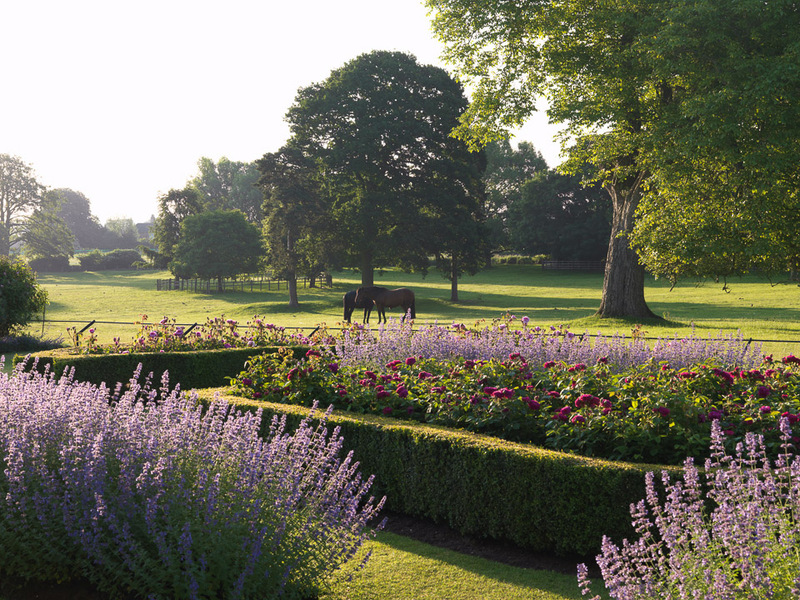 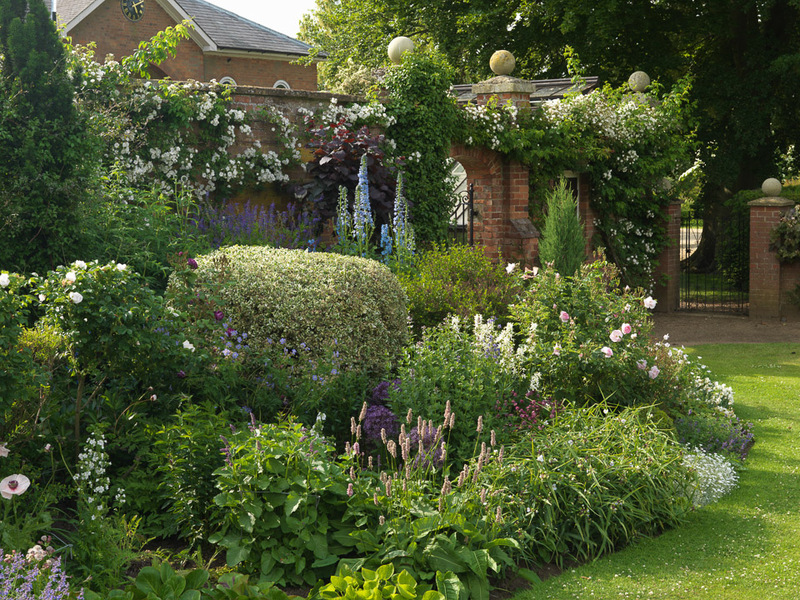 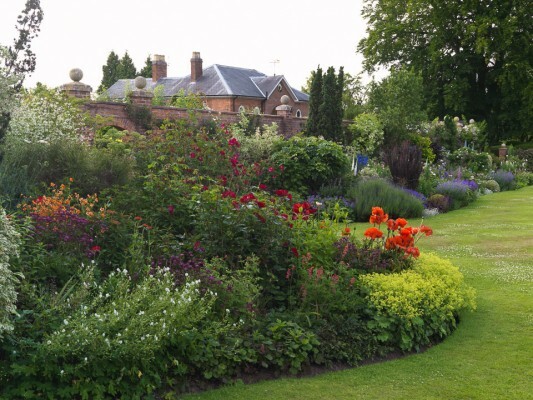 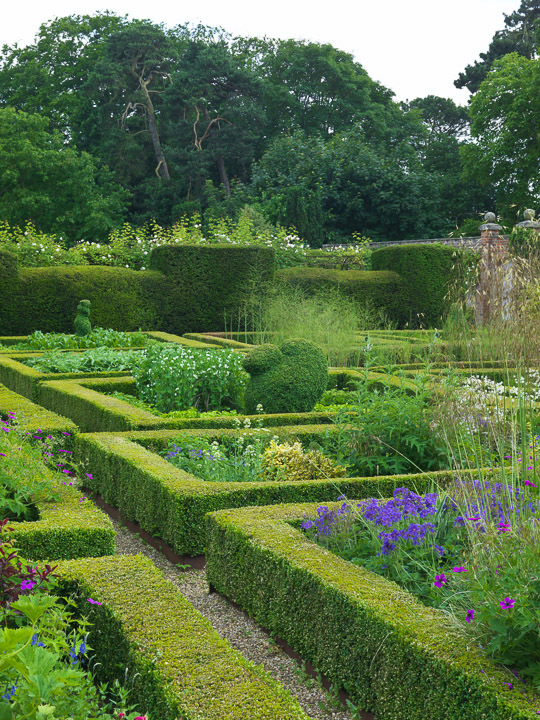 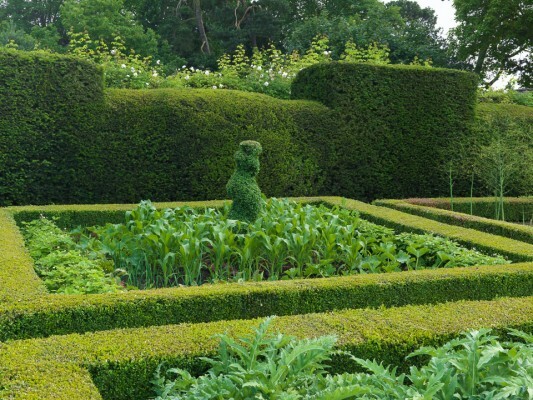 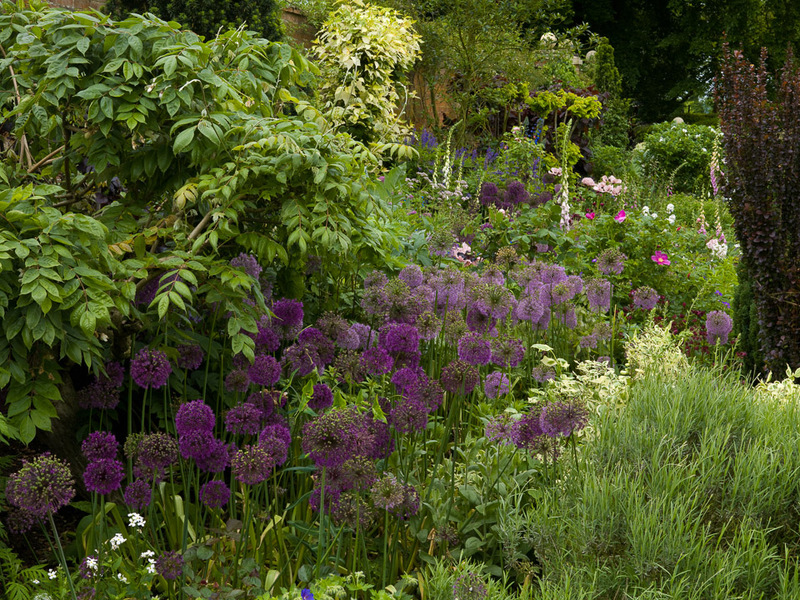 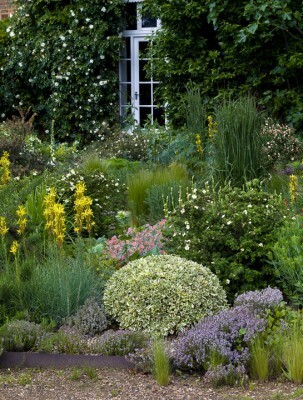 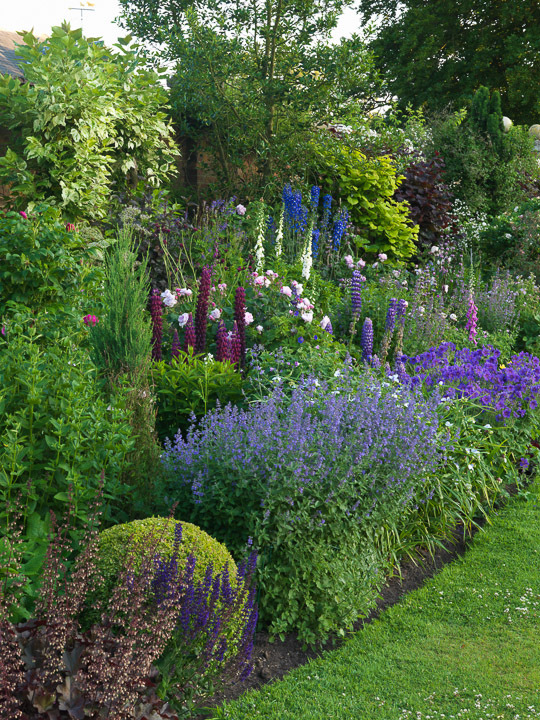 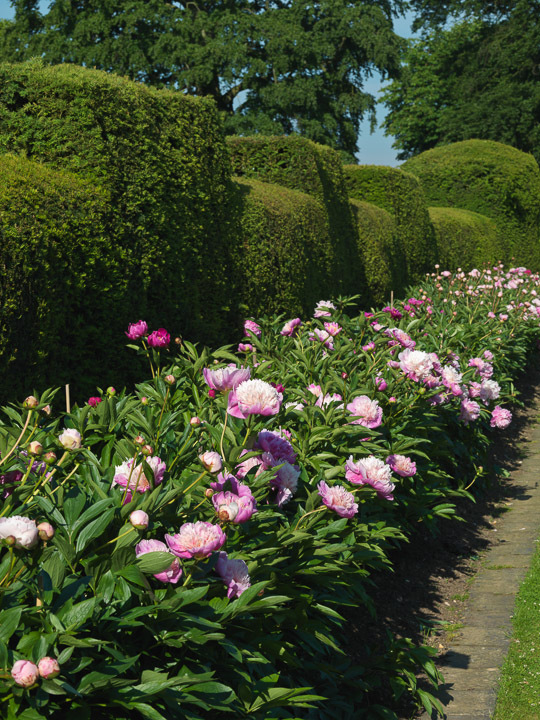 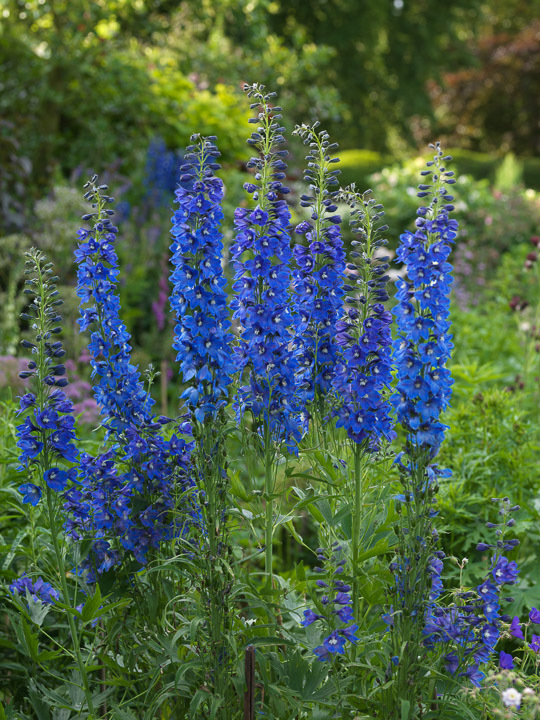 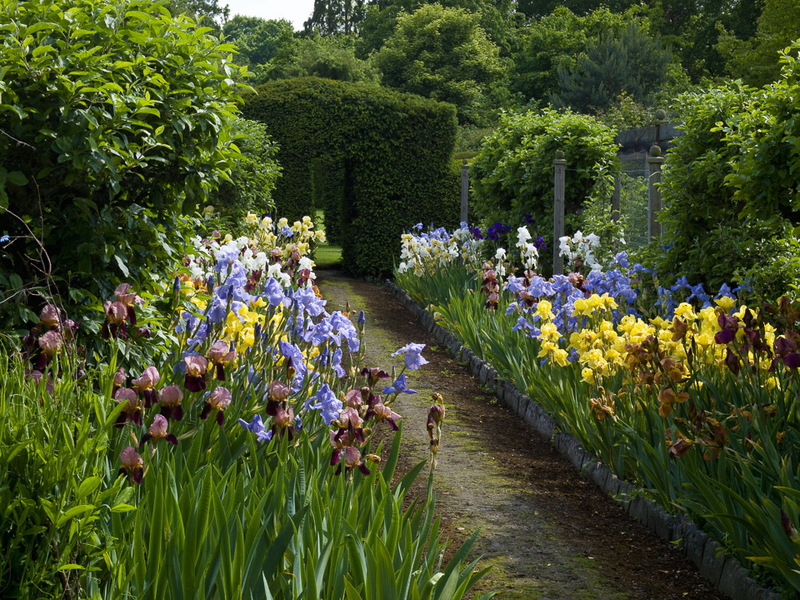 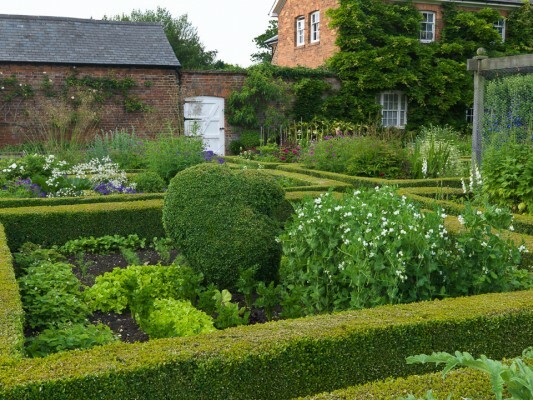 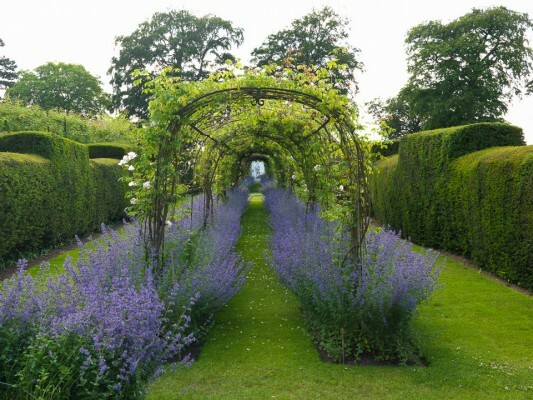 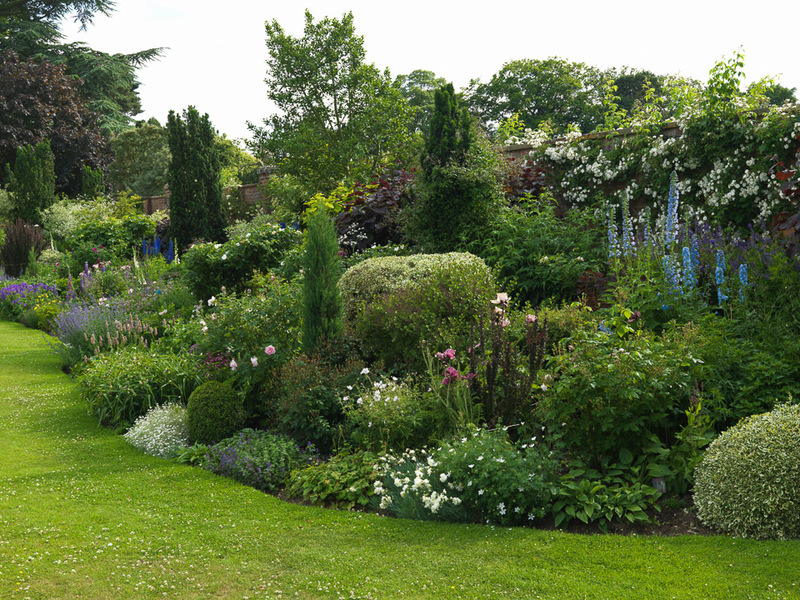 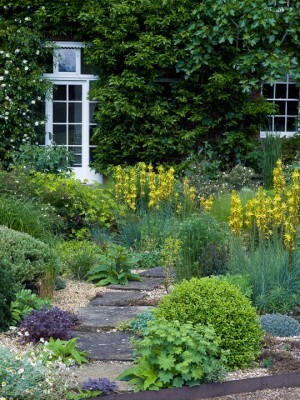 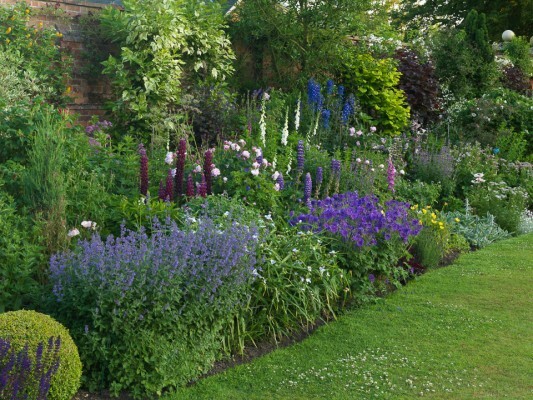 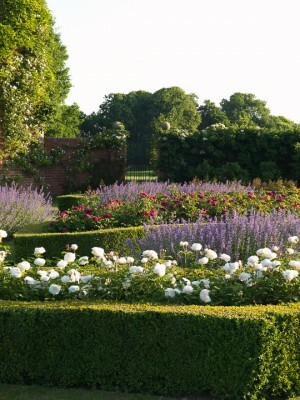 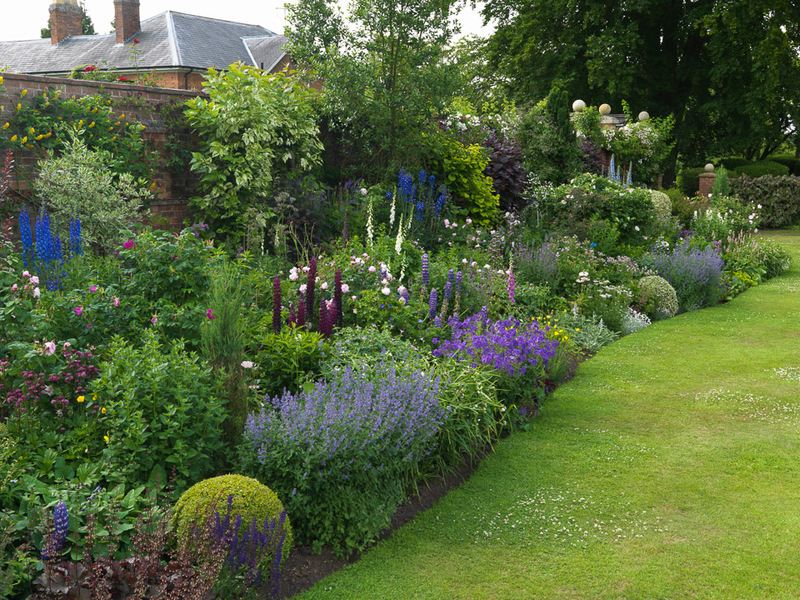 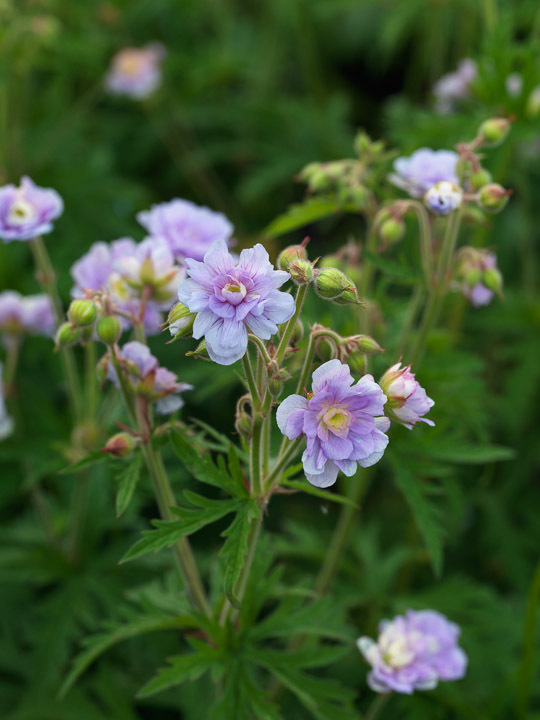 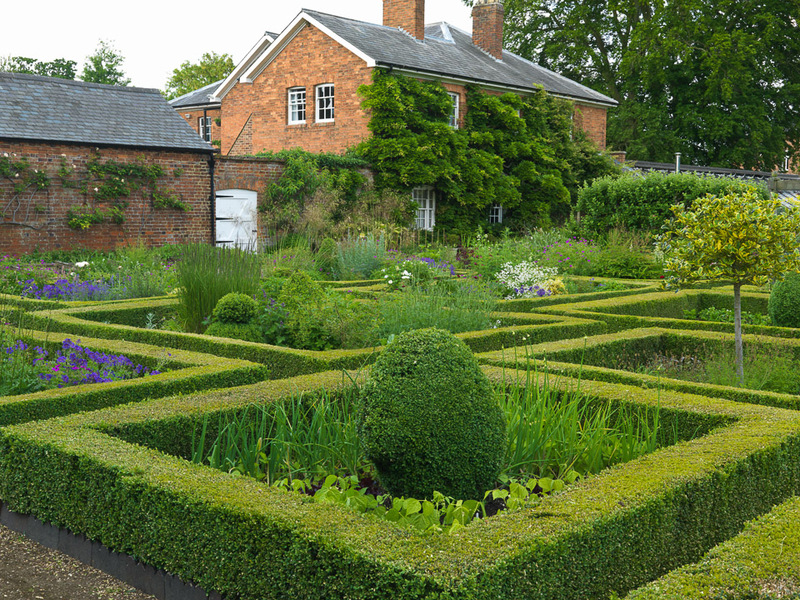 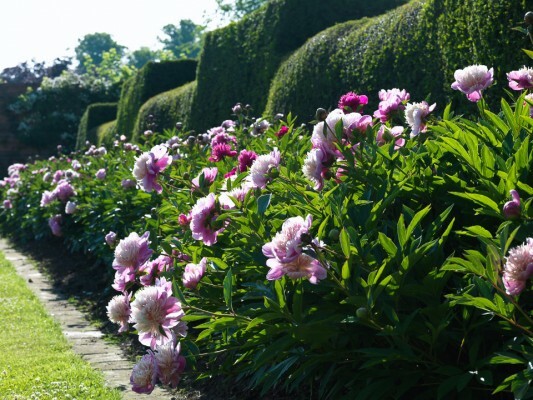 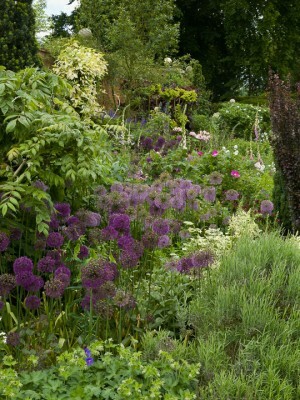 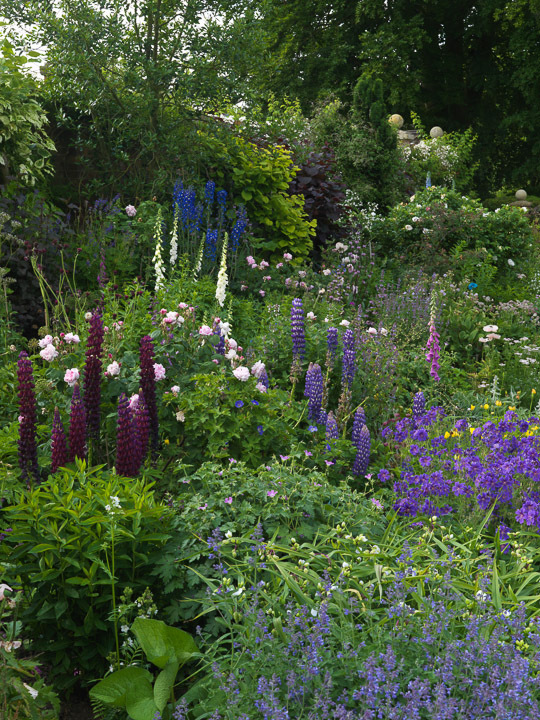 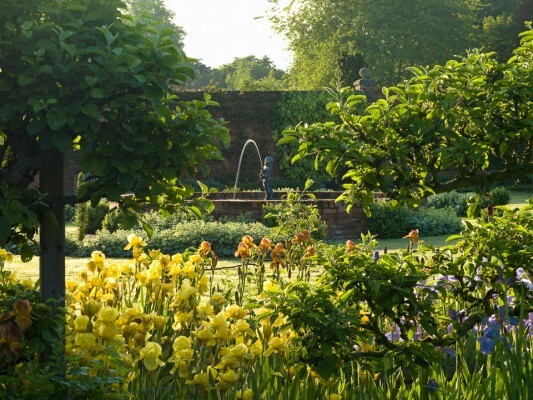 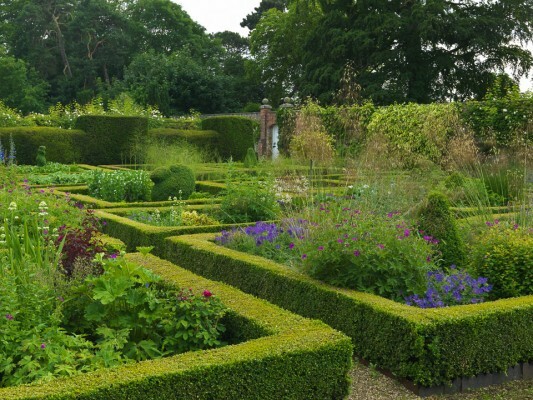 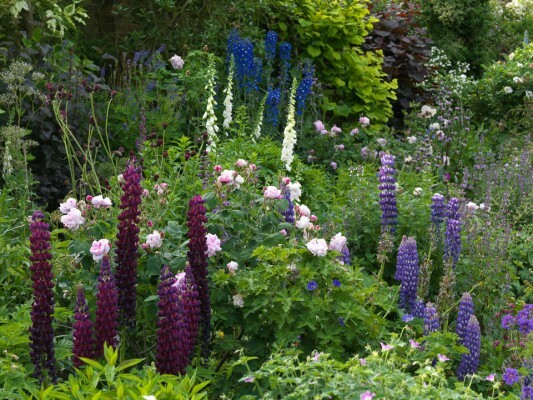 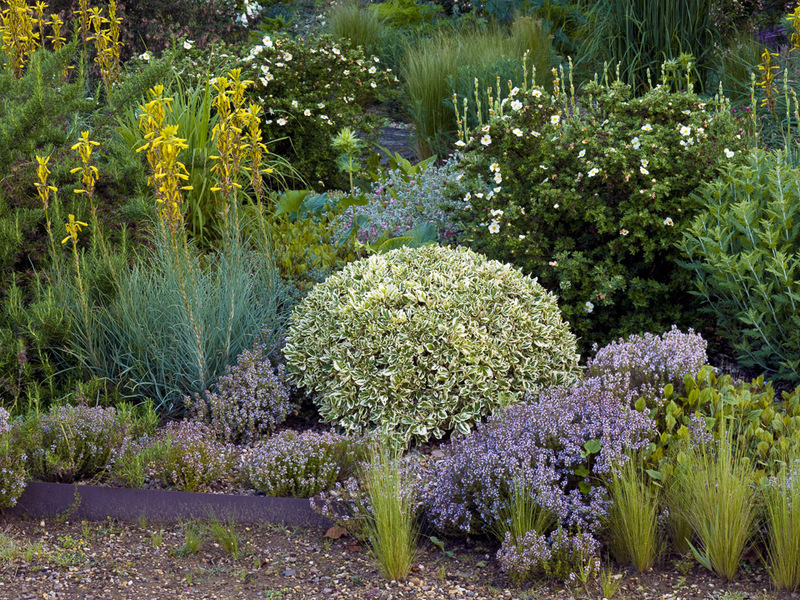 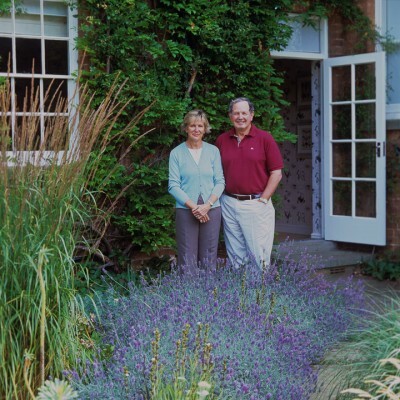 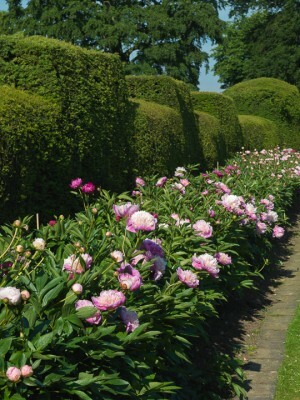 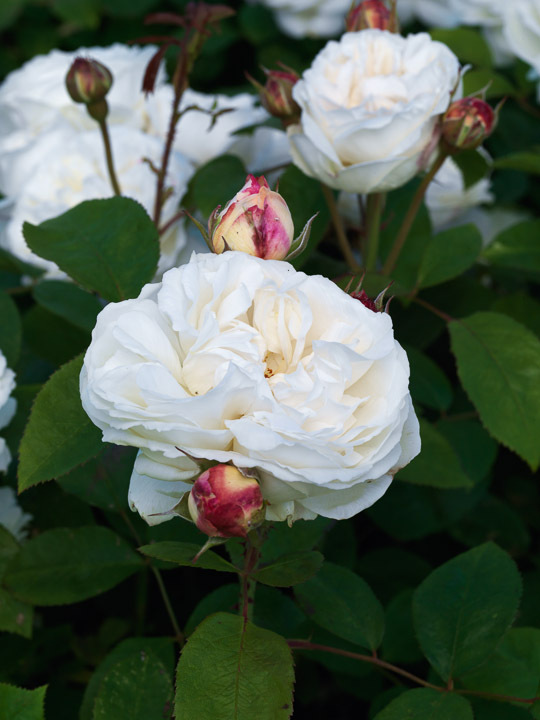 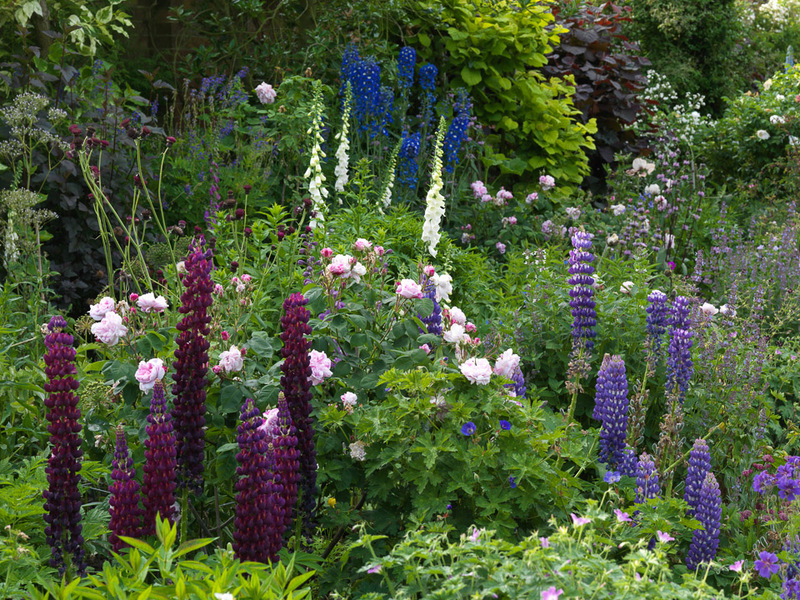 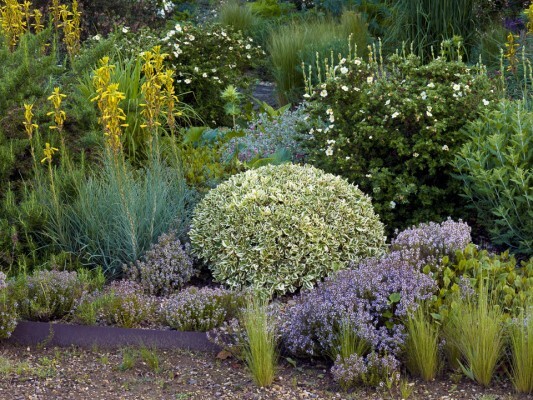 This is a fine English country garden with a traditional framework of walled garden, herbaceous borders of cottage garden favourites, a rose garden, potager, shady walks and magnificent trees such as a superb Atlas cedar. 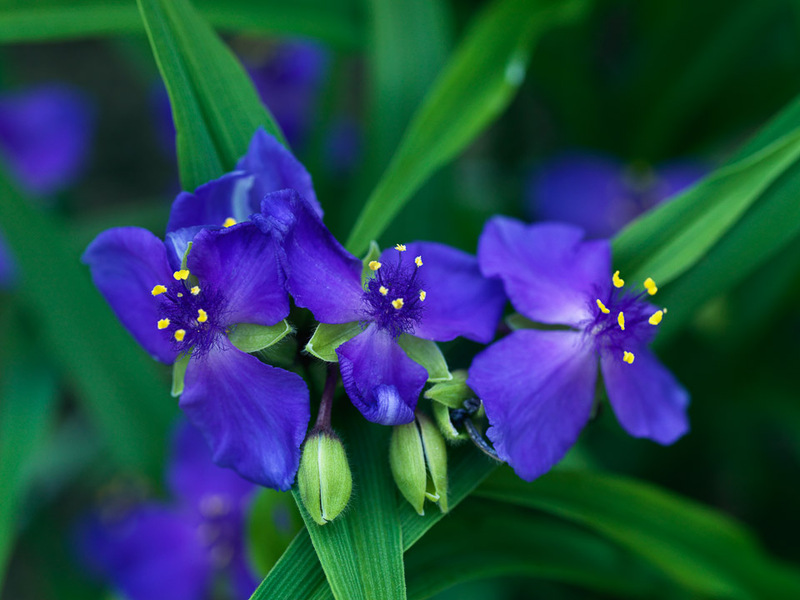 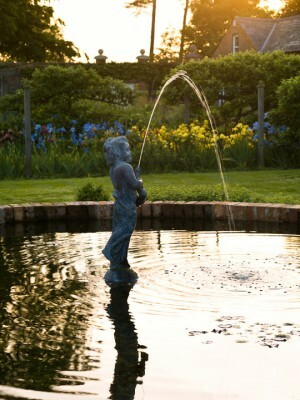 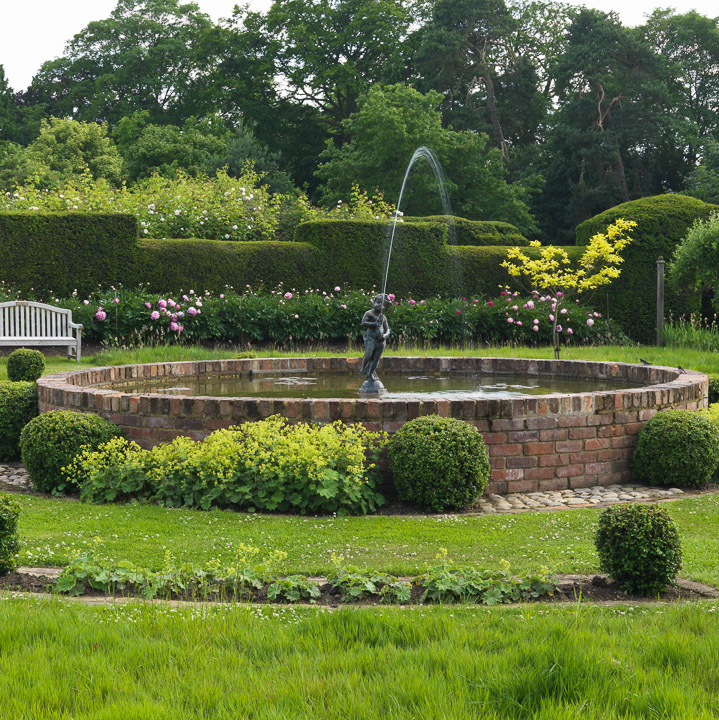 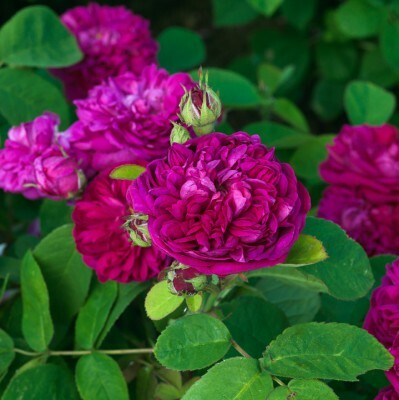 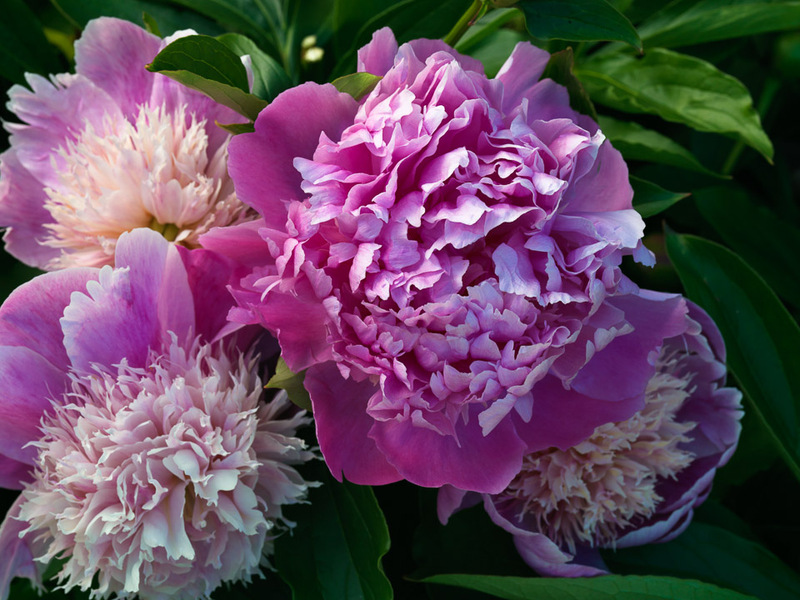 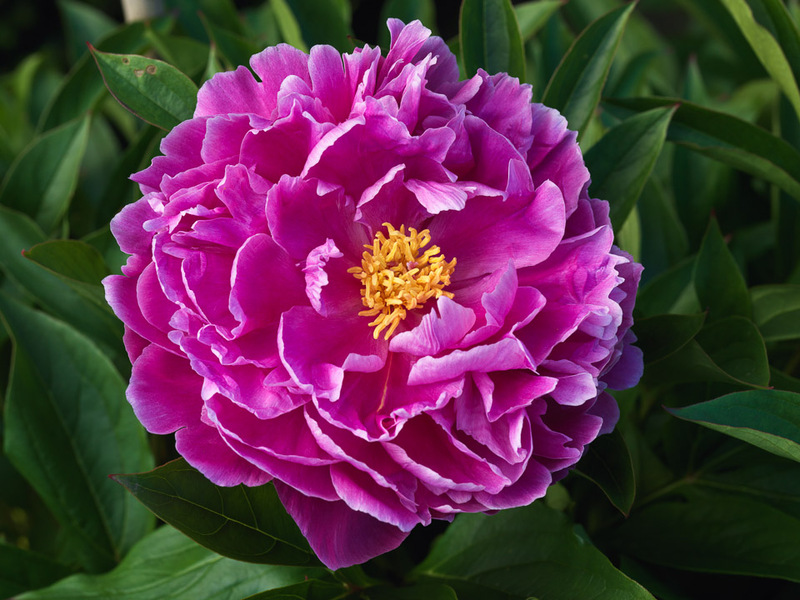 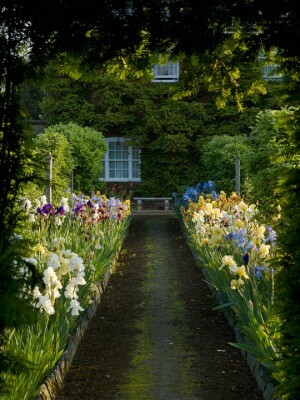 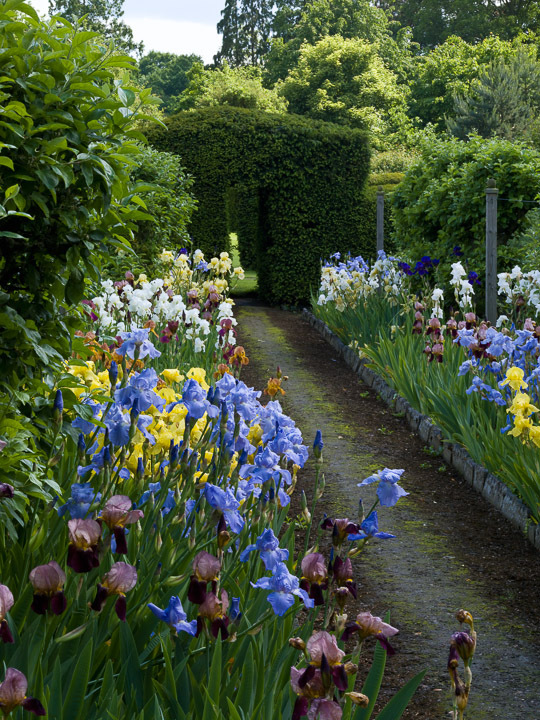 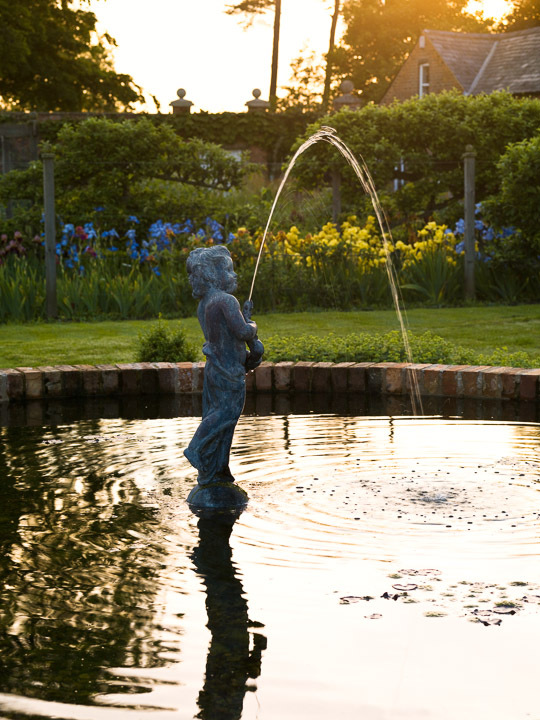 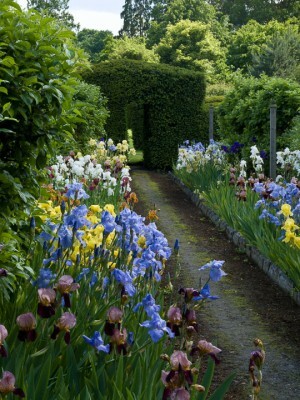 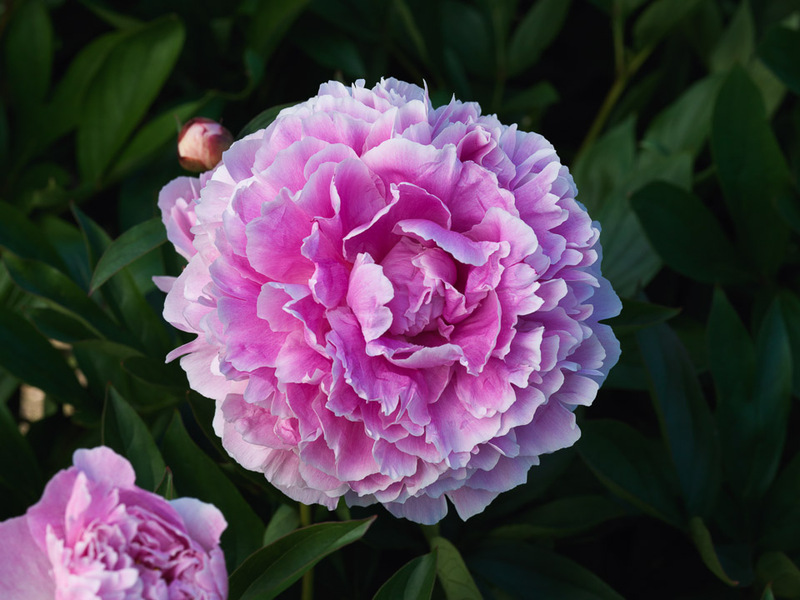 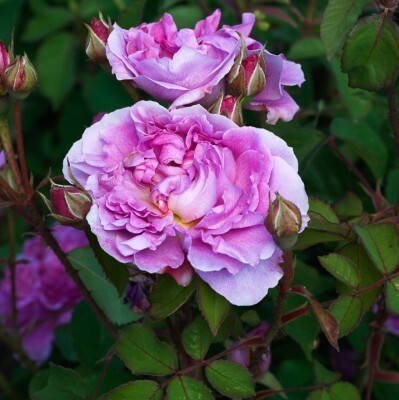 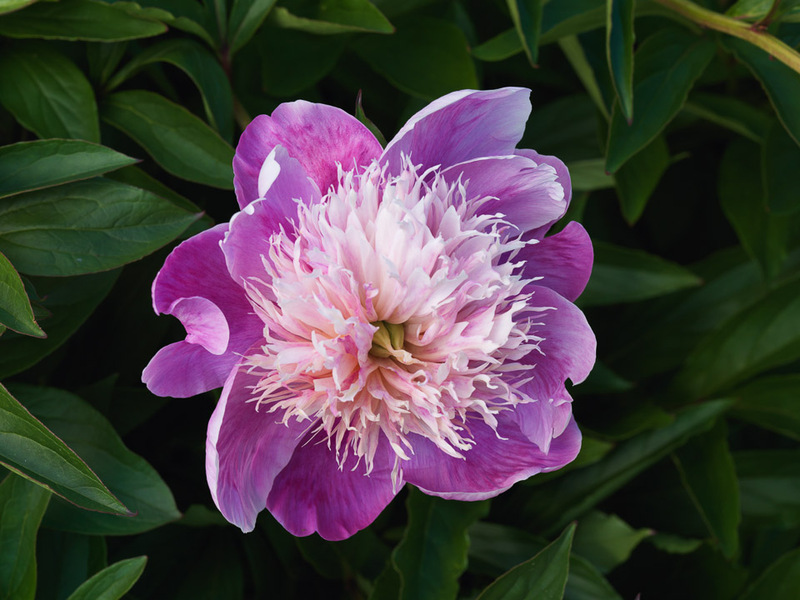 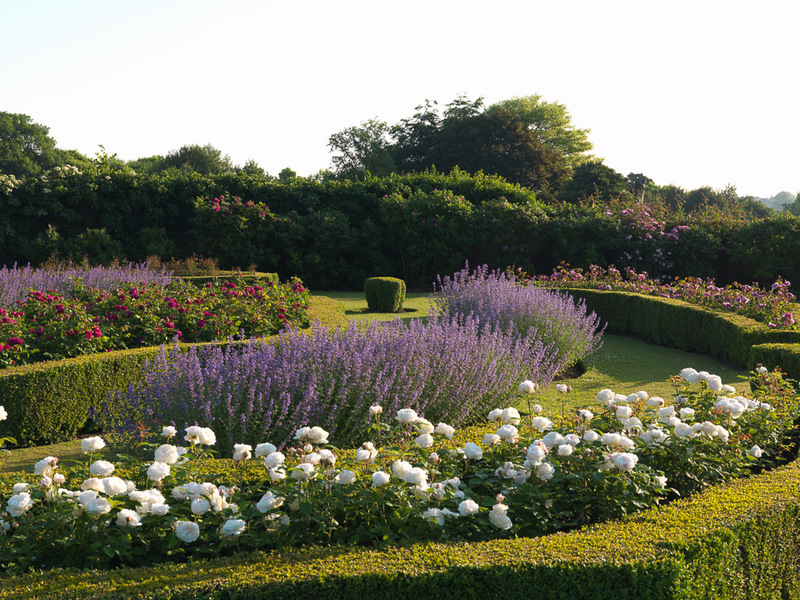 There is also circular raised pool and fountain, peony and bearded iris walks, and a long rose pergola with catmint at its feet. 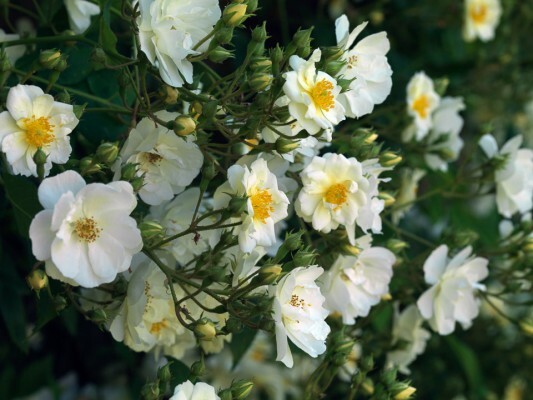 Closer to the house is a sun-baked gravel garden, whilst roses scramble over every available wall.